For visitors who want to enjoy all that Niagara has to offer, come to Clifton Hill's world famous Street of Fun by the Falls and enjoy an unforgettable experience like no other! Our wide variety of facilities makes our amusement area a great choice throughout the year in Niagara Falls! Clifton Hill is Niagara Falls top destination for attractions, restaurants, entertainment and more! Located just one block away from the Niagara Horseshoe Falls, the Street of Fun is a must-visit for families, couples and sightseers. 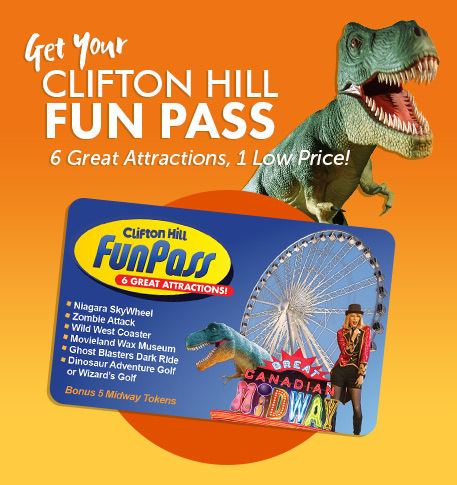 Clifton Hill's exciting array of attractions includes the latest and most exciting addition of the Niagara Speedway and the Niagara Skywheel, Canada's Largest Giant wheel providing you with views like no other of Niagara Falls. The fun on Clifton Hill doesn't end when the sun goes down; in fact for many, the excitement is just getting started! For those looking for nightlife and entertainment options, The Falls has quite a few all situated within walking distance of each other or just a short cab ride away. Strike At Night is a long-time favourite amongst locals and tourists, and is located at Boston Pizza, at the center of Clifton Hill’s entertainment scene. There is also Kelsey’s Patio Entertainment, Yuk Yuks, Silver Aces, 365 Club, Avalon Theatre and Seven nightclub all within walking distance of Clifton Hill or Dragonfly nightclub just a quick cab ride away. 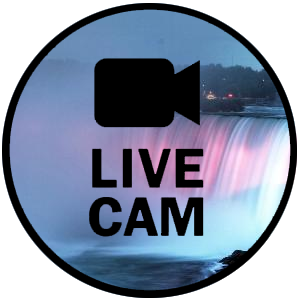 Also, don't forget the gaming action at Casino Niagara, situated at the center of Clifton Hill, and the Fallsview Casino located in the Fallsview district, overlooking the Falls. There are always numerous events to suit everyone's interest, happening in the Niagara region. 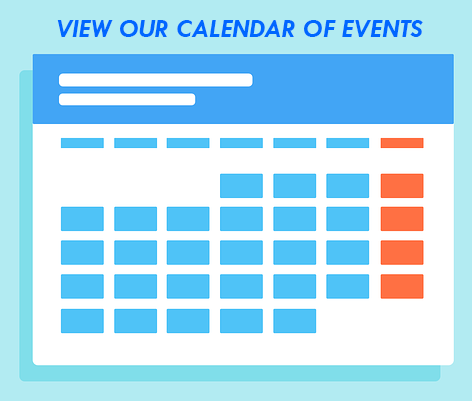 Our Events Calendar, Clifton Hill Blog, Clifton Hill Facebook page and Twitter feed or Newsletter can help direct you to what is happening on the dates you are coming to the Falls. Clifton Hill's "Big Time" fun and excitement makes it the ideal overnight destination. Especially when situated between many top Niagara Hotels. There's over a dozen hotel choices within a block from Clifton Hill, so you’ll have no problem choosing the best one for your stay. One visit and we are sure you'll agree – Clifton Hill offers the most "Fun by the Falls!" Niagara Falls, one of Earth's natural wonders, is one of many great attractions to visit in Niagara Falls, Canada. The Falls are surrounded by some of the best attractions in Ontario, including Clifton Hill, Hornblower Boat cruise, Niagara Parks, Niagara Casinos, and more. Read our full guide on local Niagara Falls attractions, the history of Niagara Falls, or just enjoy the spectacular views in our Niagara Falls Gallery. Located One Block to the Falls, Clifton Hill parking lot has over 700 spaces and is centrally located!